With Tarantino, you can be confident that all necessary acts for proper and lawful receivership will be followed. Tarantino Properties, Inc. acts as an appointed Receiver for many lenders and special servicers throughout the United States. Tarantino has been assigned more than 60 multifamily property management assignments over the years. As a qualified Receiver, we can assure our clients that all the necessary acts for a proper and lawful receivership will be followed. As a receiver, Tarantino ensures that the income from the multifamily property is going towards paying off the loan and maintaining the property. We manage the daily operations, expenses, and marketing efforts related to the property. As the appointed receiver for commercial properties, Tarantino markets the property and takes our duty to obtain a reasonable and proper price for that asset seriously. All decisions related to the property are made with profitability and value in mind. 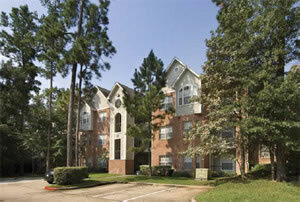 Learn More About Our Commercial and Multifamily Property Management Services.